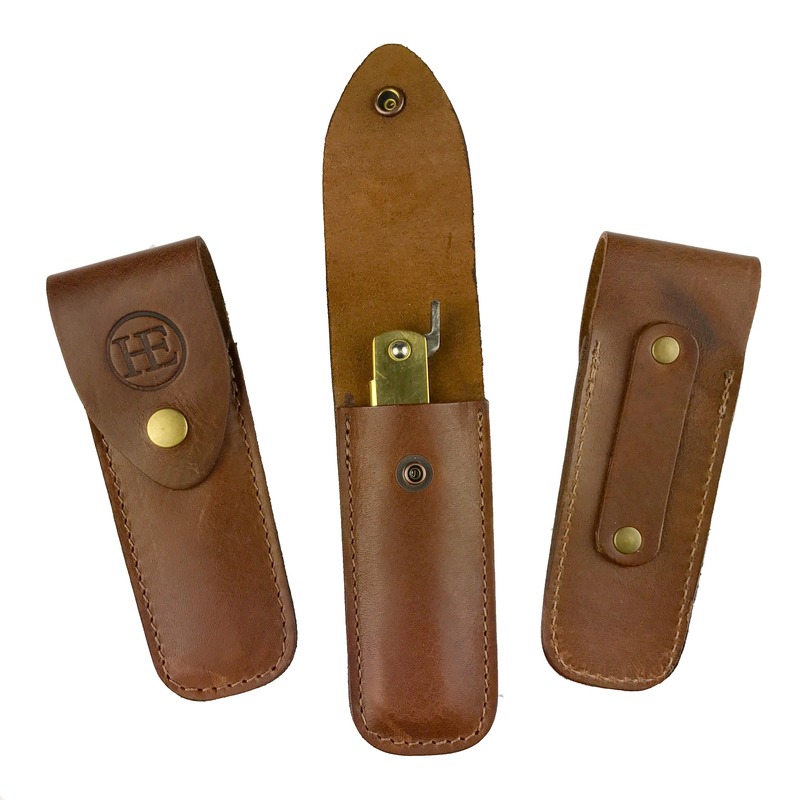 This handmade leather knife pouch is made in Australia with premium leather. It fits both sizes of Douk Douk gunmetal knives and both sizes of Ikeuchi brass sheath knives. The back features a rivetted loop that allows the pouch to be carried on a belt if required.